Take your style up a notch with a playful floral piece. 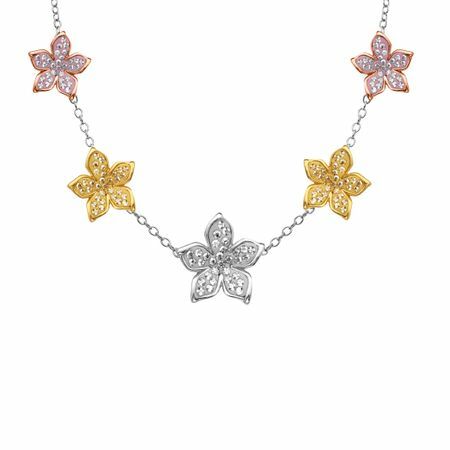 This whimsical necklace set in sterling silver with 18K pink and yellow gold plating features stations of stylized flowers adorned with a pav of honey, white and rose Swarovski crystals. Piece measures 18 inches in length.